Skip Bin Hire Engadine, local Shire owned business. 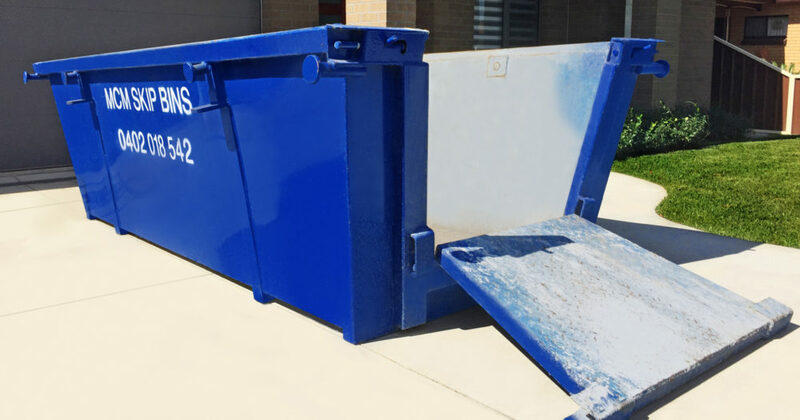 MCM Skip Bins have been providing affordable skip bin hire in Engadine since 2003. We offer you the best prices and friendly service. Our honest, hard working approach sees our customers’ benefit from prompt drop off and pick-up times and accurate bin sizes for true value. MCM Skip Bins have reliable and clean trucks in varying sizes. You can get a skip bins in 3, 4, 6 and 8 cubic metres with rear opening doors for easy loading. There are the commonly known marrell bins and also hook lift bins useful for tight access in trickier places. Our friendly drivers are fully trained and extremely experienced. They are able to answer any questions you may have and take their time to determine what is the best placement for your skip bin to help with easy loading. MCM Skip Bins is environmentally friendly. Our landfills are under strain with all of the waste we add to them each year. We think it’s necessary to do our part and recycle those waste materials that can be reprocessed reducing landfill and cost to you. Engadine is located 33km via the Princes Hwy from the centre of Sydney and sits as a very large, self-sufficient locality within the Sutherland Shire. We are always moving skip bins in and out of the streets of Engadine. This thriving neighbourhood is in constant motion with families moving in and out, renovating and rebuilding. Drawn to the area by a choice of reputable schools, Engadine Public School, Engadine West Public School, Marton Public School together with St John Bosco Primary School take care of the little ones whilst the older children are catered to by Engadine High School and St John Bosco College. Engadine boasts an amazing shopping centre where large supermarket chains have attracted many local business including awarding winning florists, cafes and one of the best know scooter and bikes shops in the Shire. Like many suburbs in the Sutherlands Shire clubs and pubs sponsor large sporting clubs like the Engadine Eagles Netball Club, Engadine Dragons Junior Rugby League, Engadine Dragons Cricket Club and three soccer clubs Engadine Crusaders Football Club, Engadine Eagles Football Club and Marton Football Club. Sutherland Shire council run the Engadine Leisure Centre responsible for community swimming lessons and exercise programmes for those in need. We are proud to the leading skip bin provider in Engadine and thank our many loyal clients for their business over many, many years.